New technology and increased legislation have created an environment where tenants are expected to have more influence on the lettings industry than ever before - and adapting to their expectations will be crucial for agencies who want to succeed in a changing marketplace. 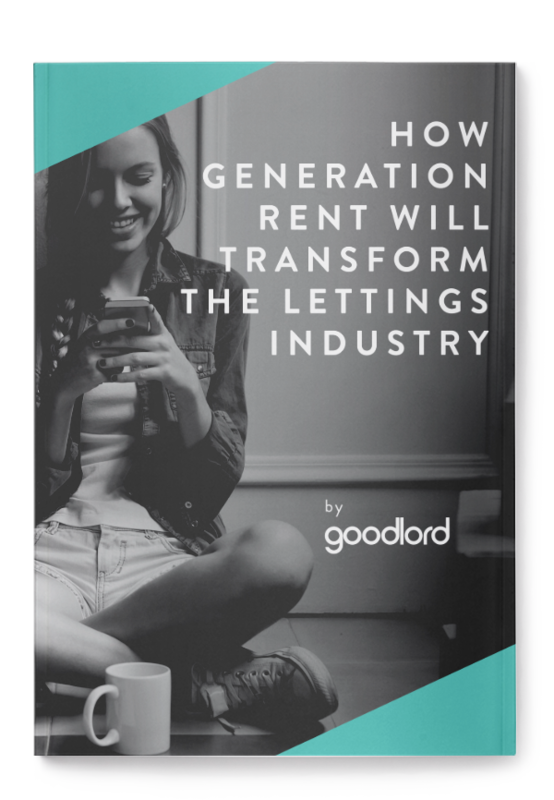 Fill in the form below to download your free copy of Goodlord's e-book, How Generation Rent will transform the lettings industry. In 2025, it’s predicted that half of those in the 20-39 year old age group will rent within the UK. This group, a third of whom are likely to rent for their entire lives (double the amount of lifelong renters from the previous generation), has become known as “Generation Rent”. This cohort expects a seamless, digital-first proposition from businesses and services - and their expectations are getting higher all the time. This e-book contains the thoughts of letting agents from all over the UK on how best to meet these expectations and take the steps required to ensure your agency remains competitive in a changing marketplace. Goodlord is a secure, cloud-based software platform designed for letting agents, which digitises all the elements of the rental process - including contract generation, e-payments, e-signing, referencing, landlord and tenant insurance, void period management and tenant move-in services. Save valuable time with automated contracts that can be digitally signed by your landlords and tenants anywhere, any time. Place your tenants with confidence and cut costs with fully integrated comprehensive referencing from just £5. Offer insurance policies and tenant utility and media-switching services through your platform to generate more revenue.